Love ferrets? Love helping out? 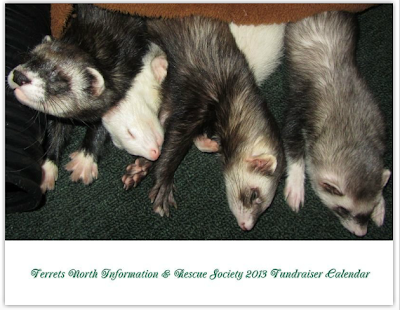 The Ferrets North Information and Rescue Society 2013 Fundraiser Calendar is now available for online purchase!!! Order soon to get yours before Christmas! All proceeds go towards helping ferrets in need. Preview the calendar or order it now!